At school, he was a prefect, the Sewell Scholar, and won the Historical Essay Prize and the Richards Gold Medal. After school he had a distinguished career as an academic, winning an Exhibition to Wadham College, Oxford, then attending Jesus College, Cambridge as a Rustat Scholar. He became Professor at Elphinstone College, Mumbai and at Rangoon College in Burma. He qualified as a Barrister of the Inner Temple in 1911. In 1912 he married Catherine Schiff. They had two sons who both came to Radley on War Memorial Scholarships. The Storrs French Prize is still awarded in his memory. In 1915 he served with the Russian Civil Service, then served with the Royal Navy in Greece in 1916. Details of his career as the Head of Counter-Espionage in the Aegean from 1917 were published by Compton-MacKenzie in ‘Aegean memories.’ He was working for the War Office when he died from pneumonia following influenza – a victim of the great outbreak of Spanish flu which took more lives than WW1. At school, he was a Junior Scholar. After school he went to London University, then trained as a Chartered Accountant. From 1901, he was accountant to the Board of the Green Cloth at Buckingham Palace. He served as a member of the Artists Rifles, and was commissioned in 1898. 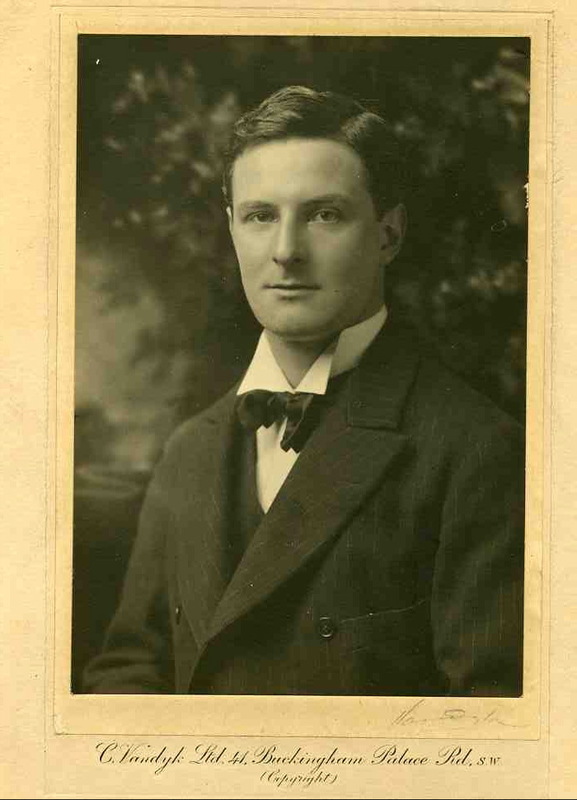 A keen all-round sportsman, Croft led the Battalion’s victorious bayonet team at Earls Court in 1914. Soon afterwards, he went to France, was advanced to Captain and was onetime attached to the 10th London Regiment. He was buried at Mons – a place he had last been in August 1914. Posted in Commemorating the Fallen of WW1 and tagged Captain, E Social, F Social, Flanders & France (Western Front), illness, Intelligence Officer, killed in action, Lieutenant, pneumonia/Spanish flu, Royal Navy, Russian Order of St Anne, scholar on 10 November, 2018 by archives602.